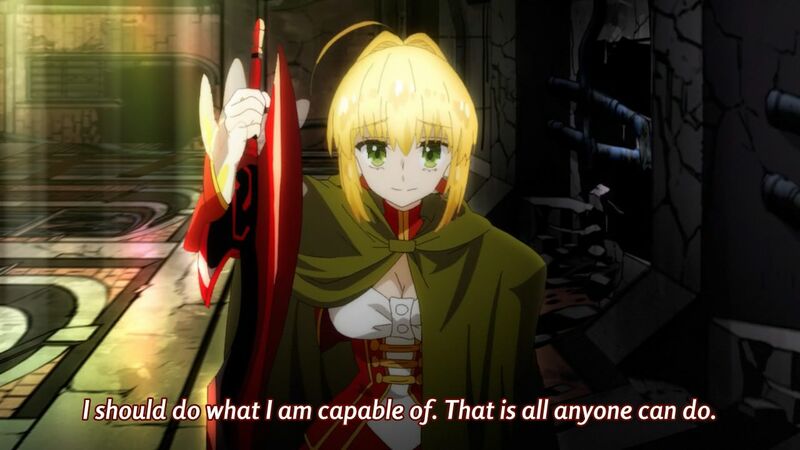 Ordinarily, when you finish a show like Fate/Extra LAST ENCORE, you’re left thinking something like, “Ah, this was a show about hope!” The negative, pessimistic, defeatist attitudes of those who have given up have been conquered by the hero’s belief in the future – in its ascendency from the mire of the past – and hope reigns. Hurrah for that! And to be sure, LAST ENCORE is, in the end, a tale of hope. By the show’s finale, the Dead Face reincarnation of Hakuno Kishinami has not only overcome his miserable origins to become more than a mockery of humanity and reset the Moon Cell, revitalizing an Earth 1,000 years since debilitated by humanity’s sins. 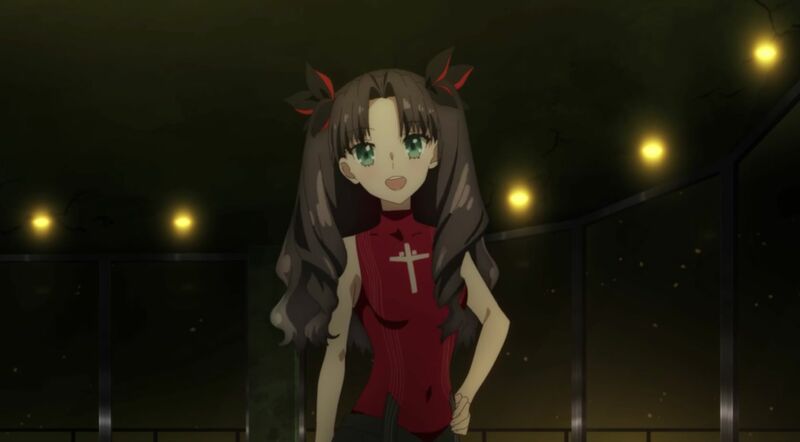 And although this Hakuno disappears along with the valiant Saber of Red, Nero Claudius, they leave behind for Rin Tousaka a future worth running toward. The opening episode of LAST ENCORE is a brooding, even dreadful affair. It begins with the sense that something unknown is most profoundly wrong. Inexplicable things occur, one friend murders another in ghastly fashion, and a resurrected incarnation of hate itself meets his partner at the lowest of seven strata of a frightening digital world. Certainly, the reference to the Inferno is easily apprehended. Welcome to hell, Hakuno Kishinami. You have been born from the pit of humanity’s misery. As Hakuno and Saber ascend toward the Moon Cell, they encounter person after person who has succumbed to the workings of despair. Some, like Shinji, have been effectively broken by it. Shinji designs and maintains a hollow perpetuation of a meaningless status quo for those Masters who have fled the Holy Grail War, a giving up is nestled inside the further meaningless of the Masters’ continued existence within a system that has shattered and left them with an ontological, although not physical, death. 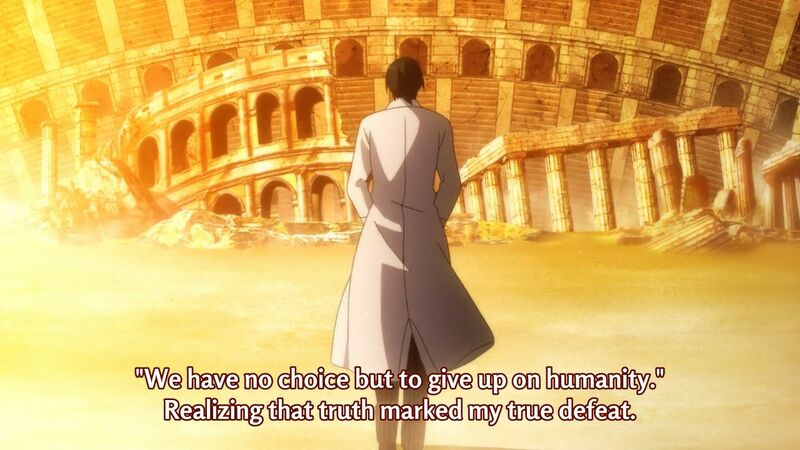 Admirably, Shinji does as best he can in the midst of his despair until he is freed by his defeat to Hakuno. Although the expectation might be to see Shinji’s release and death as a triumph of hope over existential apathy, the nature of Hakuno himself contradicts such rosy notions. 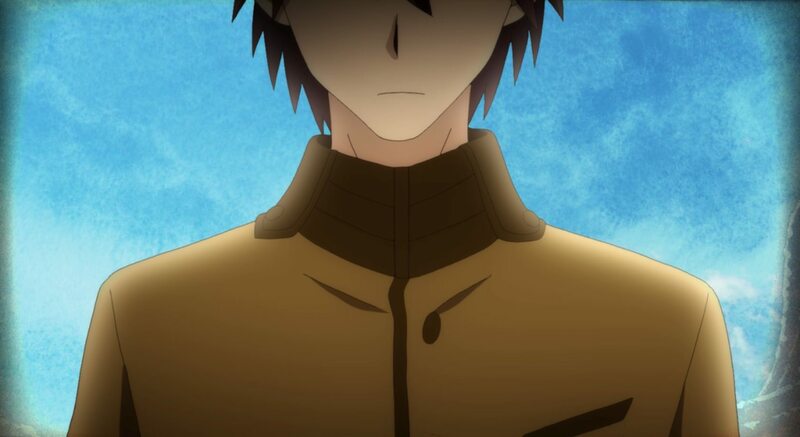 Although Hakuno’s true identity as a Dead Face has not been revealed at the time of his battle with Shinji and Francis Drake, what we do know is that he possesses an unspeakable hatred. Hatred triumphing over despair is no such grand thing as the crowning of hope as the victor. And yet, at the same time, the catharsis in Shinji’s passing is palpable. It is not so much the excitement of hope arising as it is the relief of a despair that can finally be let go. In like-yet-unlike pattern, Dan Blackmore’s despair is one he is hardly aware of himself – although Robin Hood, his servant, sees the futility of his struggle in stark clarity. Like Shinji, he lingers as he is only because the system has failed, has given him a false hope that only defeat can quench. And, once again, catharsis is the timbre of the lost Master’s end – the scene of Robin Hood gratefully evaporating next to the gravestone of his Master’s body, loyal to the end, a poignant expression of release. This is the dynamic which generally defines LAST ENCORE until its final conflict. Yet, there’s one clear exception to the rule, one that reinforces over the series’ midway point the prevailing nature of despair in the failed world of SE.RA.PH. 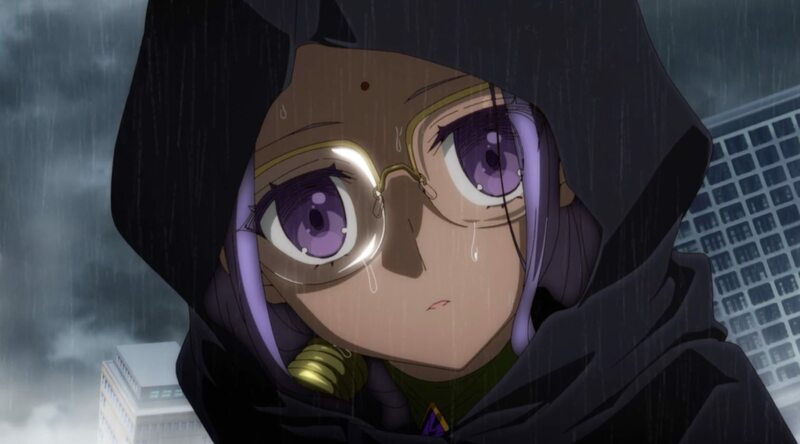 Of course, this is episodes 6 and 7, “The Queen’s Glass Game” and “Nursery Rhyme.” Here, Hakuno encounters a girl who, like Dan Blackmore, is already dead, but unlike the second stratum’s Floor Master, was dead from the start. Alice is an interloper even in the disintegrating Moon Cell, a ghost who belongs nowhere yet is somewhere. And although Hakuno, Rin, and Saber defeat the Noble Phantasm that haunts the floor to ascend, Alice is not released. In a cruel twist, her childishness blinds her to everything besides her desire for companionship, although Hakuno is more than aware of the tragedy. There is no catharsis here, and it’s easy to see how the despair creeps into the supposedly immovable Dead Face’s heart, even as he lies to Alice to continue his journey. LAST ENCORE is intelligent in that it delivers the most personal of its despair/catharsis arcs – the awful story of Rin and Rani VII, two characters both audience and Hakuno have become endeared to – before the final conflict begins. The cycle is of the recognizable type. SE.RA.PH, failed without regard for its inhabitants, has trapped them in an unending battle of futility. The despair of their situation is nearly overwhelming, not least because they have both assisted in Hakuno’s ascent (seemingly at their own expense). They are, in fact, the final expression in personal terms of the despair of the world before LAST ENCORE turns toward its final, grandly abstract destination. It is at this point that LAST ENCORE begins to ask us to truly consider the validity of despair. Certainly, Shinji, a Master who sacrificed his dignity and friendships for the sake of a war that ended prematurely, was within his rights to despair, though he made the best of it. Alice may have despaired as well, were she a little older. Rin and Rani hope against hope for, not a future, but release from their despair. 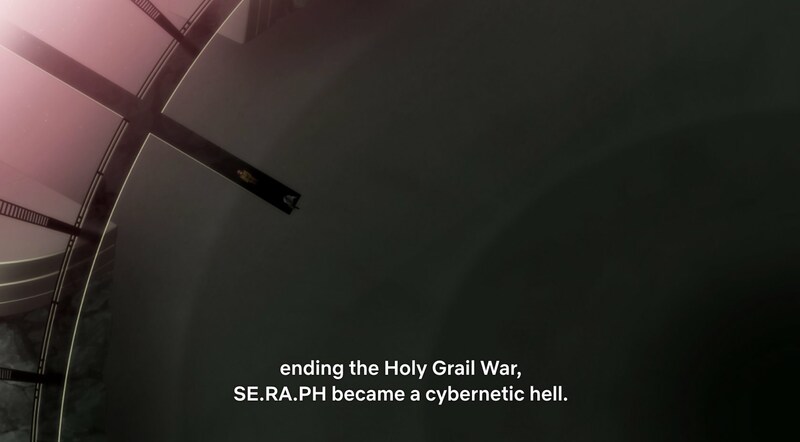 And as Hakuno and Saber arrive on the doorstep of the failed savior of humanity, Leonardo B. Harwey, we come to understand that the broken state of SE.RA.PH. is itself an expression of despair. With what are we dealing when it comes to despair? Hopelessness, to which is appended an inability to create change. This is where Twice Pieceman has arrived after his long journey, and he has, ironically, inflicted the brokenness of Earth upon humanity’s final hope. As Pieceman argues, persuades, cajoles, we are forced to consider his point of view. The perhaps frightening thing about this is that the darkness and failures of humanity that have caused him to consider humanity worthless beyond resentment, they are not unreal. And here is where LAST ENCORE makes its case in this diary of despair. Pieceman is not wrong to despair. Leo was not wrong to share in his despair, and neither could any of the other previous floor masters be blamed for having lost hope. Pieceman destroys the Moon Cell system because he has given up on humanity. It is a function of his despair, and it infects everyone below him. 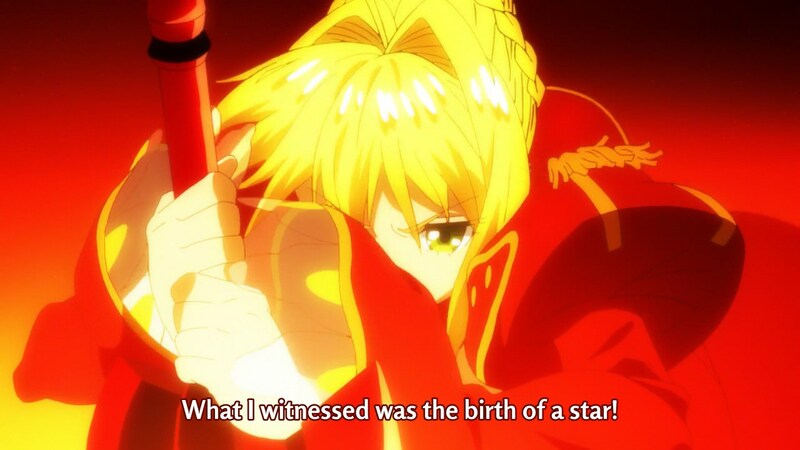 The despair that flows out from his decision to ruin the Moon Cell into everyone who has been trapped in the broken system – Rin, Rani, Leo, Blackmore, and so on – is justified as well. How deep my respect runs for LAST ENCORE‘s willingness to acknowledge and accept this truth. Despair is not evil. It is a condition of our humanity. Perhaps we are all destined to make our own entry in this sour journal, to write our own despairs about our lives, the state of our world, even existence itself next to all those who accompany us here on this world. Again, LAST ENCORE is not about hope per se. Certainly hope exists within the story, but it feels far more the result at the end of the journey rather than the antidote to the poison. And maybe it’s a bit trite that said antidote, really, comes in such small and personal terms – “I should do what I am capable of. That is all anyone can do.” – but frankly the small steps of personal capacity and ability are far more empowering than grand yet vague statements to trust in hope. So, in the end, catharsis against despair arises not out of hope, but out of the simple act of living. 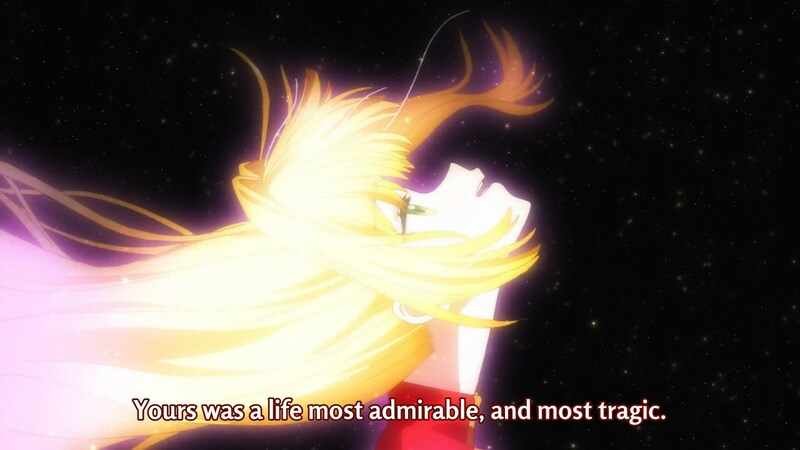 Saber’s grand elegy for Hakuno as she puts her energies into her final efforts concludes with the moving line, “Your’s was a life most admirable, and most tragic.” Yes, continuing to live is the antidote to despair and its cousin, stasis. The Hakuno who was Saber’s first master fell short of her goal, but Saber professes her admiration for a person who lived to her utmost. Again, it may be trite, but the catharsis of LAST ENCORE as a whole comes not through a profession of hope, but through action. And, sure, it is a glorious burst of action, complete with heroic sacrifice and bright lights and grand exploits – the birth of a star. Despair is a reality with which me must contend, and to contend with it at all and struggle against it is admirable. My favorite line of your piece is definitely “catharsis against despair arises not out of hope, but out of the simple act of living”. It really cuts to the heart of the matter. A lot of the characters were resigned to their fate, either through ignorance or despair, so to continue moving forward takes a great act of defiance on their part. Especially with how Nero had her own terrible struggles, but even in the “encore” of her life continued smiling brightly until the very end. We may not have a Nero in our lives to help us move from stage to stage and shield us from daily tragedies, but we can all continue to try to put our best foot forward. Thanks for the article. Keep up the good work! Heh, well I’m not so much saying it as I am doing my best to interpret for the show. It’s telling that, for a lot of the series, Hakuno is just kind of moving forward robotically, with no actual will for it. But, ever so slowly, his despair lifts – out of the fact that he continues on living. Which isn’t so much a great act of defiance for him, at least not initially. But he changes with the help of Nero over time and that’s really a great journey to watch. Thanks so much for reading, even though it was a rusty piece after not blogging for a while!